ProVu are on the look out for a new Sales and Marketing Coordinator to join their team. “Sometimes I enter the office of a customer and just FEEL it – something’s brewing. A few weeks ago I was in the office of Provu in Northern England (www.provu.co.uk), and “that atmosphere” was in the air. Laptop computers were installed when I came in, the PIKA WARP Appliance fired up – it wasn’t going to be a meeting around a table with a firm agenda. Provu sells software called SARK. The people from Provu had a demo ready for me of their SARK software running on the PIKA WARP Appliance. The Provu people have spent a fair bit of time on the subject which explains why they were excited. Their software is available in various configurations of course and the smallest one is now almost converted to the PIKA WAR Appliance. And I was blown away; the feature set of their software is very, very broad, the software is responsive, the screens look good, wow, very, very professional. But what I liked best is the remote management facility that the SARK PBX offers. The unit can be accessed by a control room for a sanity check, performance measurement and more. But you can also click through to every IP device connected to the PBX and do the same thing. This is what I call “Controlled Devices”! Recently we have added lots of new items to our product portfolio but have also had to say goodbye to some old ones too. As these are not direct replacements some of the features may vary. Please check out the product information pages to make sure the items have all the features you need. How: Connect your door with ProTalk door entry system and control it using snom phone. You can even see door phone video on snom 8xx series phone. The door phone has relays that can be activated using DTMF tones. How: Choose your desired ringtone then visit our ringtone generator to upload it. How: visit snom DesignSkins and choose from many designs or even create your own. How: Browse to your phone and add a phone book entry. You can also add a nickname, e-mail address, birthday, include in a group and make them a favourite. How: visit snom’s video wiki guide for more information. How: Simply plug in your mobile cable into the USB port of your phone, see the snom blog post. How about being creative and making some really useful applications for your phone whether its a game or a calendar feed. snom shares some apps that other users have created on their did you know… webpage. How: By integrating your snom phone with your existing database. snom will be launching its complete telephone solution, the snom ONE Plus, to the UK market at Unified Communications Expo in Olympia on 8th – 9th March. To find out more about the snom ONE plus, you can visit stand 717 in the Microsoft Partner Village at the UCExpo event. 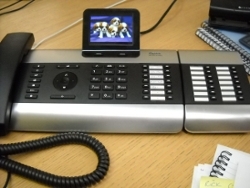 Look what has just just arrived on Becky’s desk… The NEW Gigaset DE900 IP pro desk phone. We are delighted to announce today that ProVu have been appointed as Distributor for the Aastra range of SIP phones and accessories. Aastra is recognised globally as a leading supplier of enterprise telephony equipment and their SIP handset range is a natural fit that enhances the ProVu product portfolio. 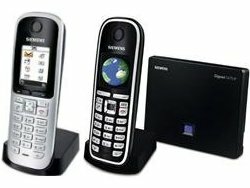 Their excellent SIP handset range is both stylish, functional and competitively priced. With ProVu entering a phase of rapid growth and seeing demand for its automated fulfilment and provisioning services increase, we feel it is an essential part of our strategy to be able to offer our customers these services across an even wider range of quality products. All the Aastra models are in stock and available for next day delivery, you can view our trade pricing at our on-line trade price list below. As with all our products Aastra phones can be ordered by, phone or email. Or for all our customers using our ProSys on-line ordering the Aastra phones are now listed and can be ordered via the ProSys on-line ordering system. Our automated Provisioning platform has now been developed to accommodate the Aastra phones. So for all our service provider customers and PBX installers wanting to deploy phones in volume or on a regular basis you can now order Aastra phones and have them provision automatically out of the box. We are pleased to announce that we have today reduced our trade pricing on all of the Gigaset IP models including the additional handsets that we sell.